Alan Hadyk AKA Quantum Universe is a producer based in Poland. 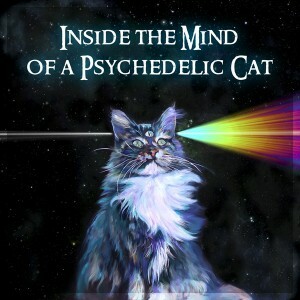 Inside The Mind Of A Psychedelic Cat, his debut release, is a very colorful journey. Quantum Universe brings his own vibe, a strange mixture of groovy acid sounds, space shuttles taking off, dark forest ambience, and the call of far away lands. Expect a profound trip and a beam of light inside your head. Artwork by Jerzy Hadyk. Mastered by Tim Schuldt @ 4CN-Studios. MP3 Download | FLAC Download | WAV Download · Download count: 5,855. Super original vibe, and quality sound. Thank you much! I have two cats in the room with this at max volume and they are not even moving…a good sign of great psy. Likes the retro tracker vibe. Drums and percussions are not too full or tricky. The sound is also surprisingly uplifting compared to many other sounds around. The Stuf.! Yeah great ! Thanks ! Ah! I wish this was longer, I’m digging this.